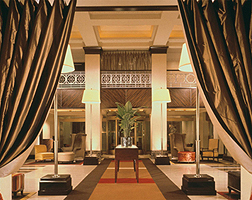 The Lexington Hotel, New York offers a number of ways to make your stay extra special – if you know about them! -Ensure you get a renovated room or suite. -Avoid rooms next to the elevators, which can be a little noisy. -The higher floors are quieter. -Rooms ending in 9 have great views down West 48th Street. -Generally, views are better the higher you go – from the 15th floor upwards to be precise. -Some rooms have two bathrooms, excellent for families. -Rooms facing the street are noisier.